This is a simple Coordinate Graphing Activity. 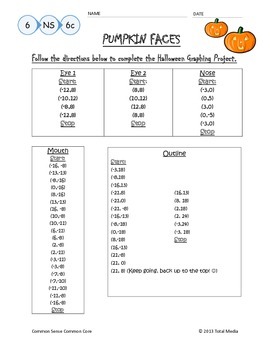 The students are given a sheet of graph paper and by plotting these points, a pumpkin face is formed. This activity meets 6th Grade Common Core Standard 6.NS.6c, but can be used for any middle school class near or on Halloween. My students love these types of activities!